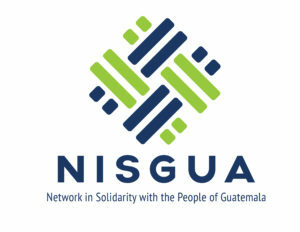 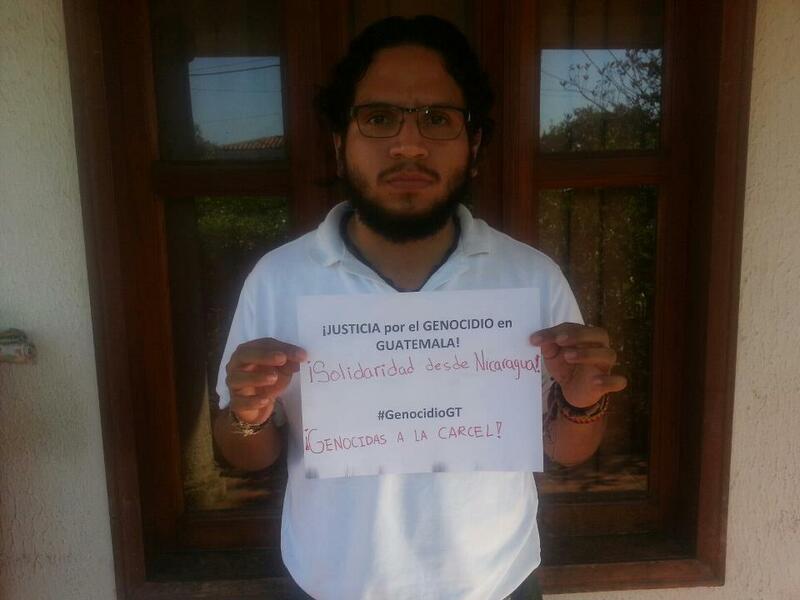 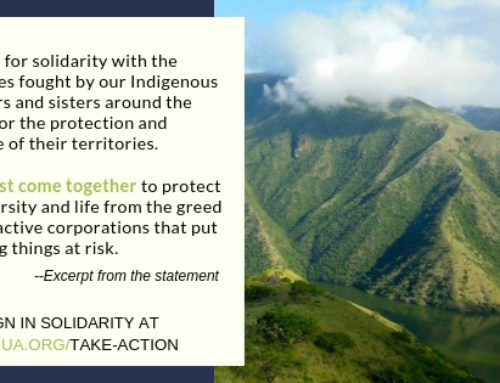 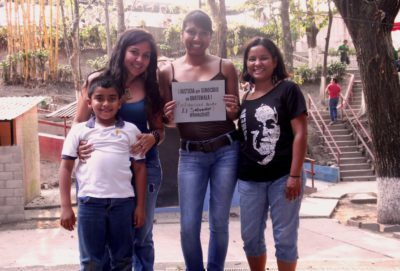 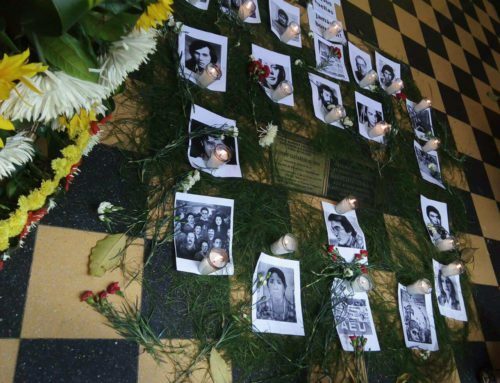 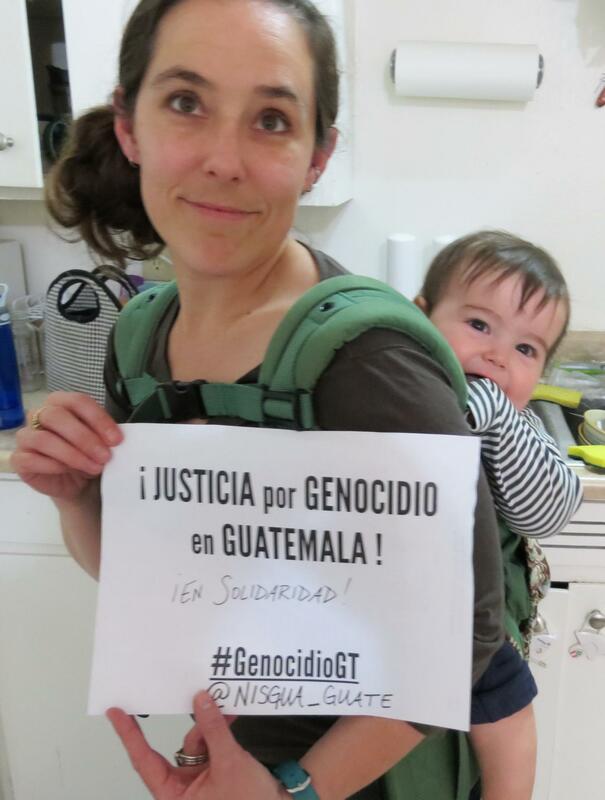 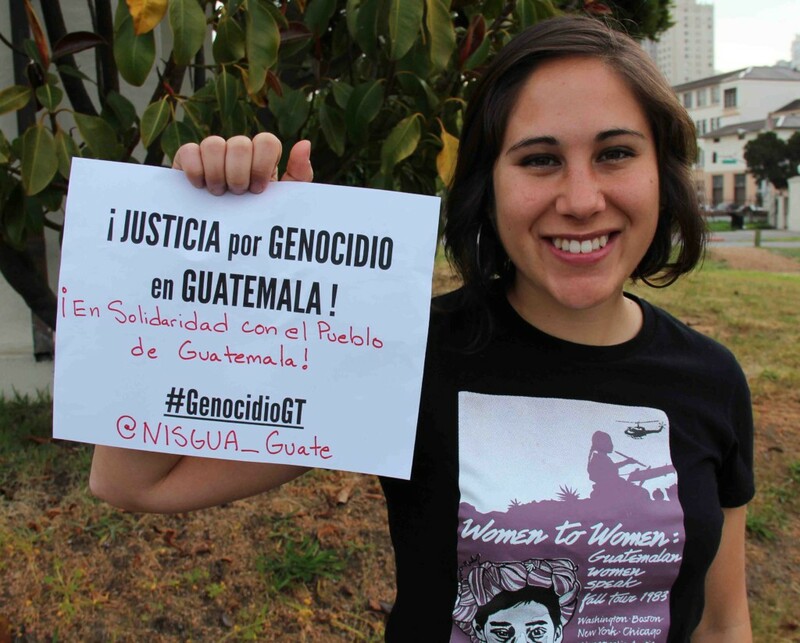 In the lead-up to the 2013 genocide trial, hundreds of members of the NISGUA network voiced their support for survivors and members of the Association for Justice and Reconciliation and pledged to follow all trial proceedings and call for justice for genocide. 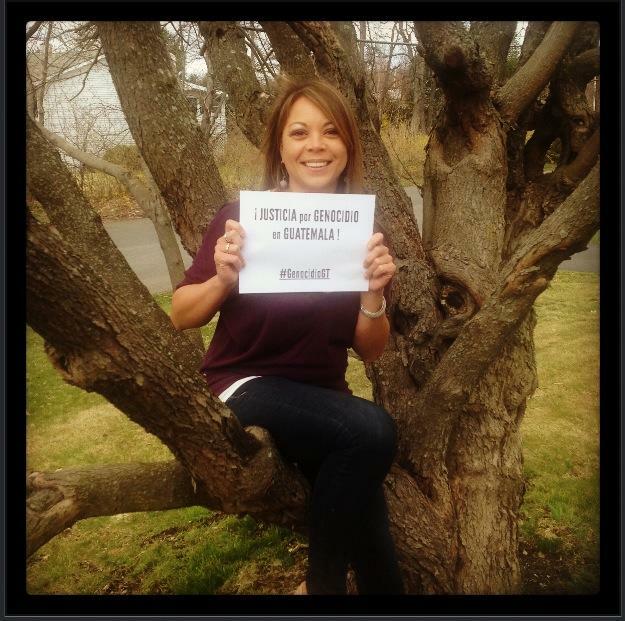 We gathered 215 photos and 1,767 pledges from across the United States and many other parts of the world. 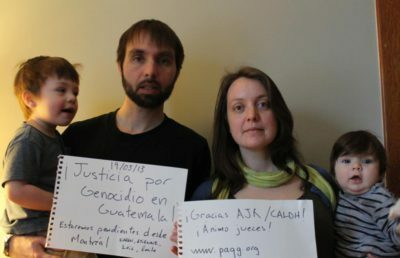 The work of survivors and their legal teams has led to incredible, precedent-setting verdicts, including two in which the court recognized genocide against the Ixil people. 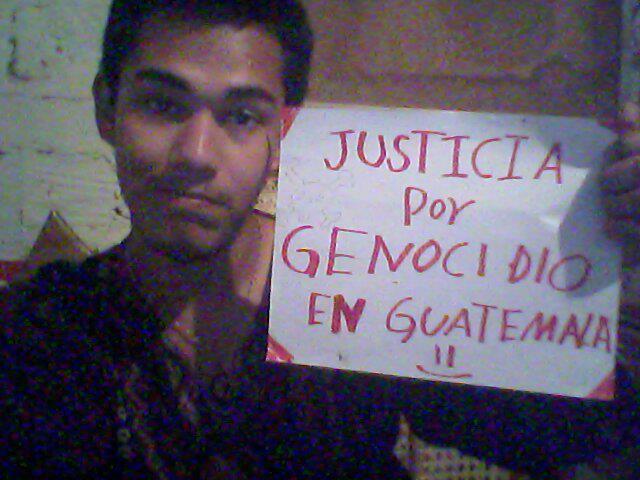 But the fight for justice continues. 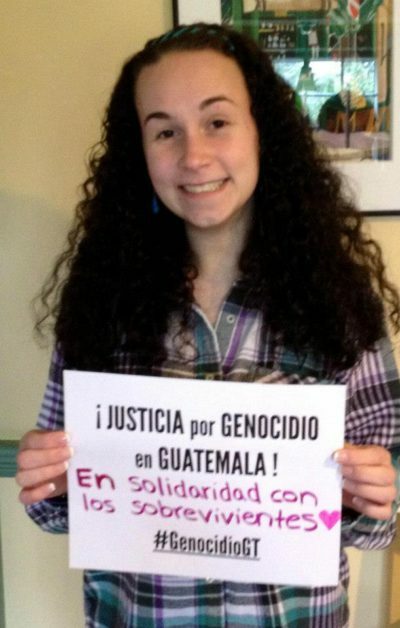 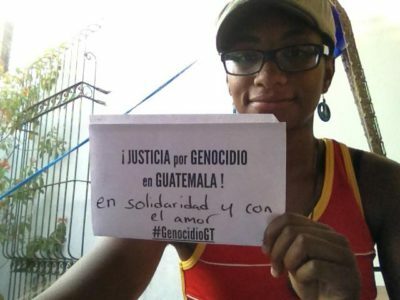 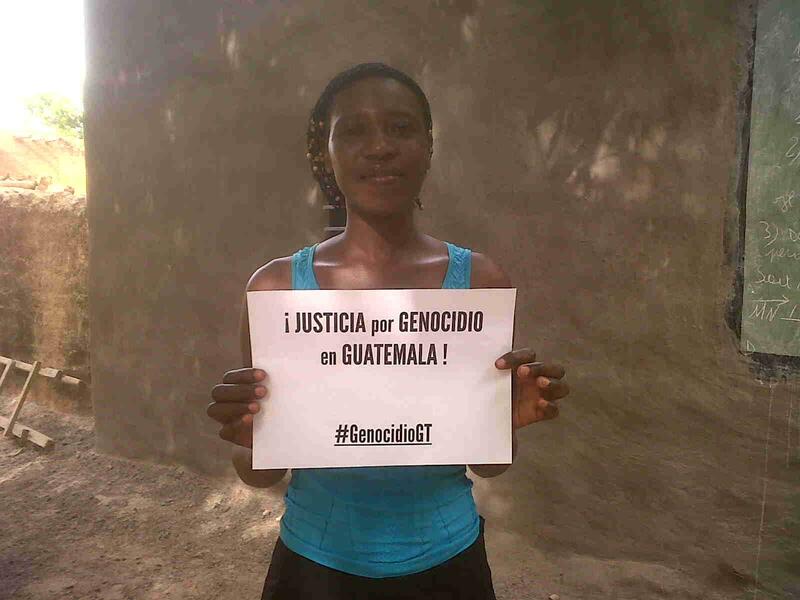 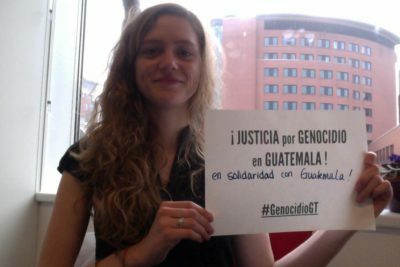 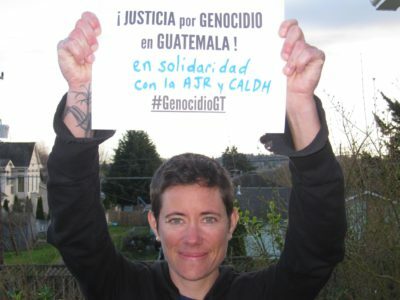 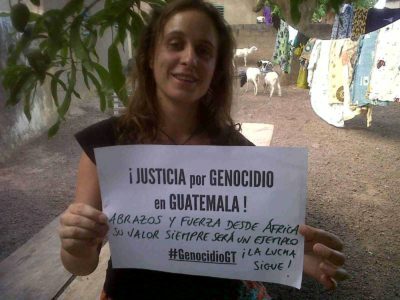 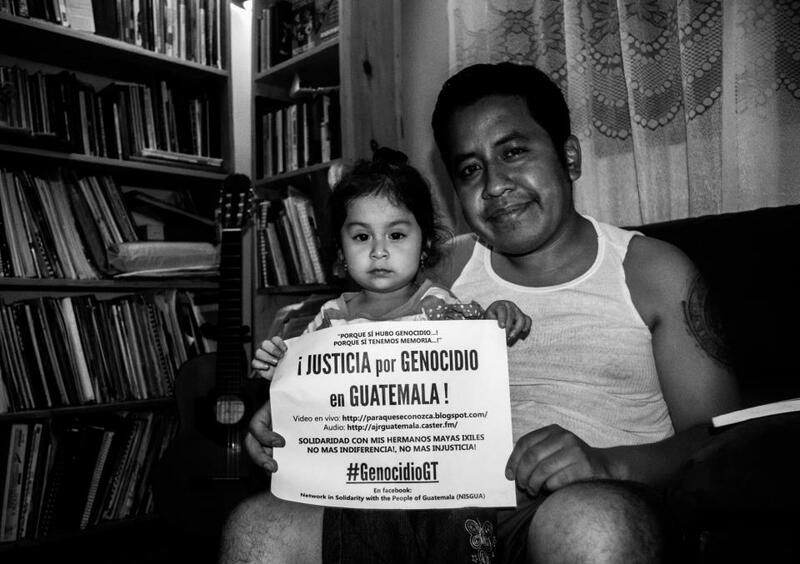 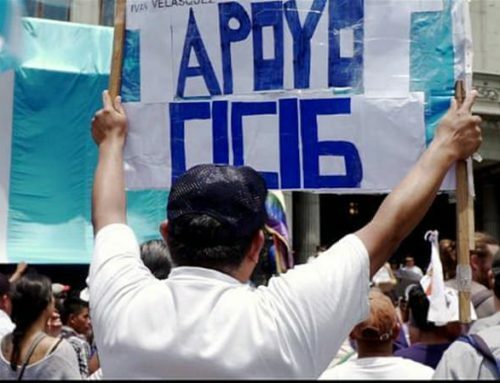 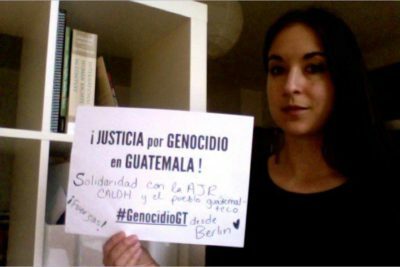 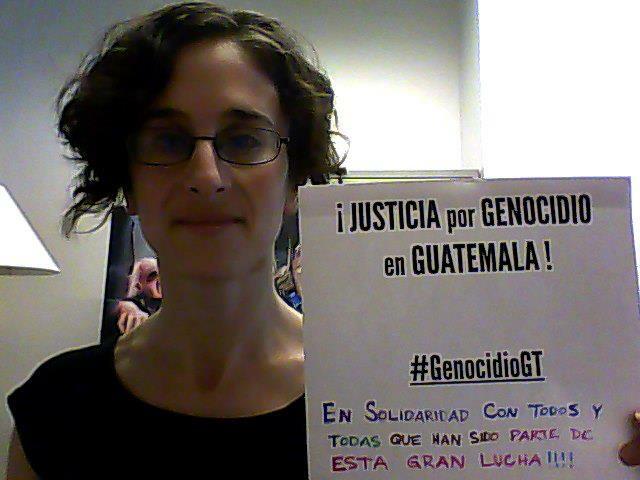 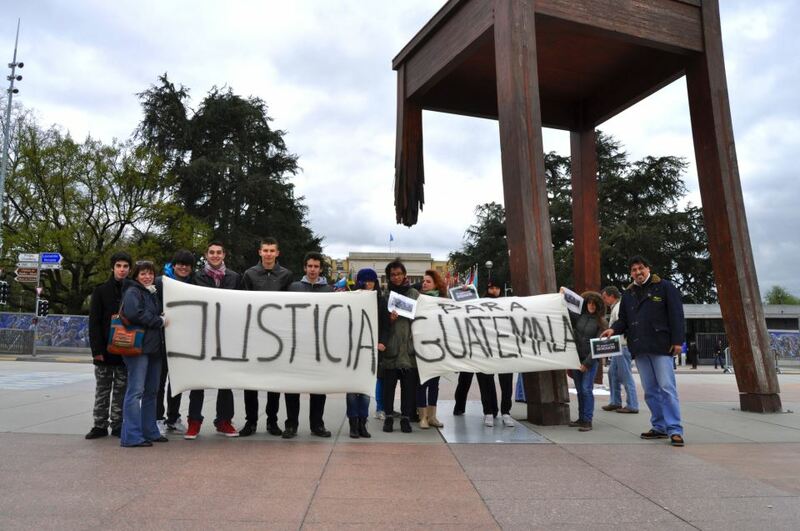 UPDATE: In September 2018, Guatemala’s high risk court unanimously ruled that Guatemala’s military high command, led by Jose Efraín Ríos Montt, planned and carried genocide against the Ixil people in 1982-1983. 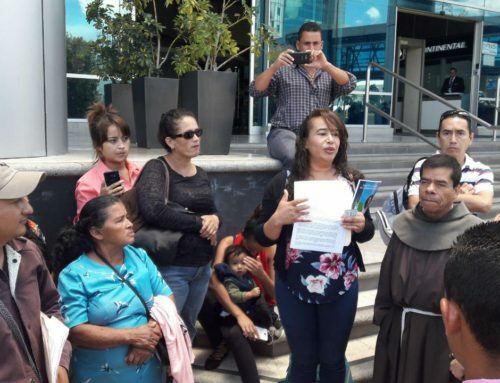 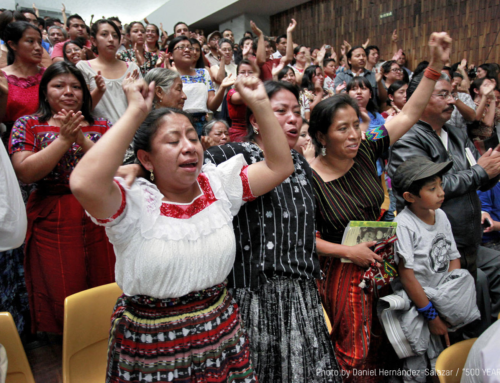 Their decision was made based on the testimony of more than 100 Maya Ixil survivors, as well as a host of expert witnesses. Though the judges confirmed that the military high command had carried out genocide, they found José Mauricio Rodríguez Sánchez, former Head of Military Intelligence, not guilty of genocide and crimes against humanity. 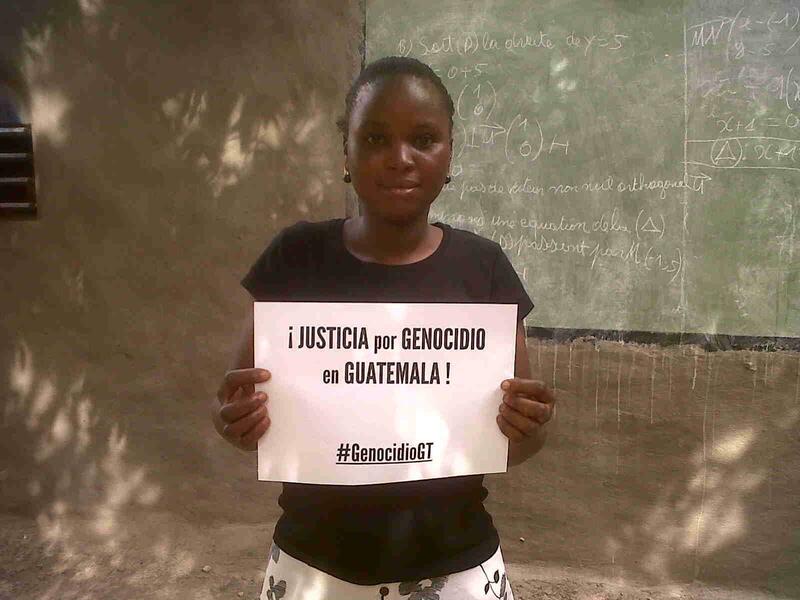 Learn more about the case and lessons from the sentence. 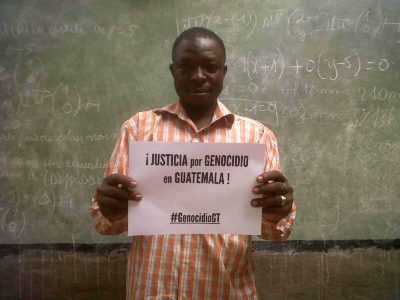 Write your own message or download a template. 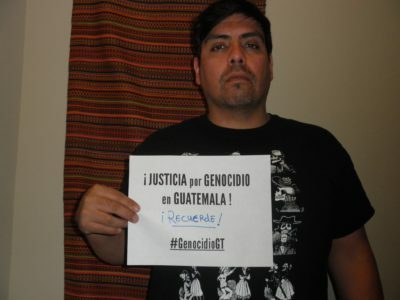 Take a picture of yourself and send it to us for upload! 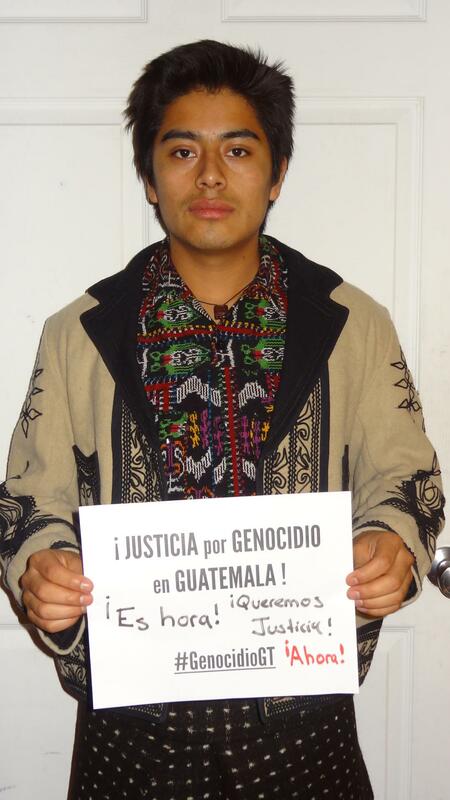 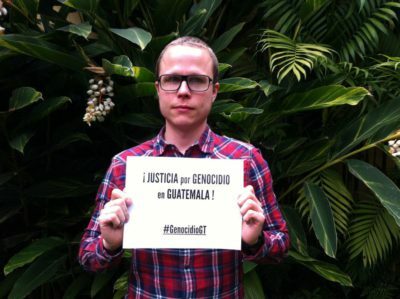 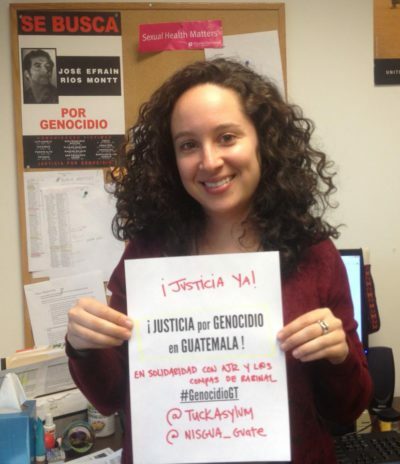 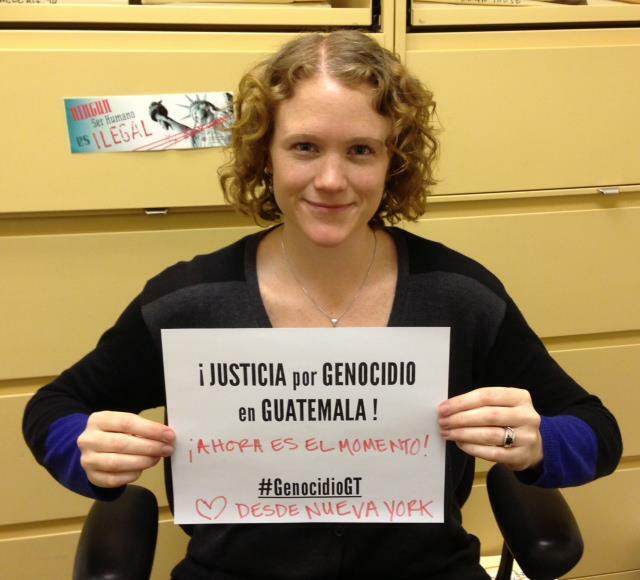 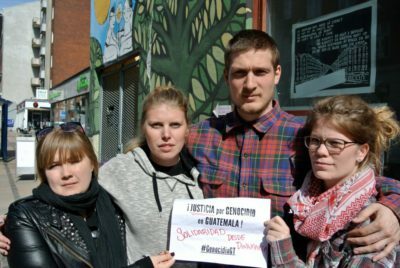 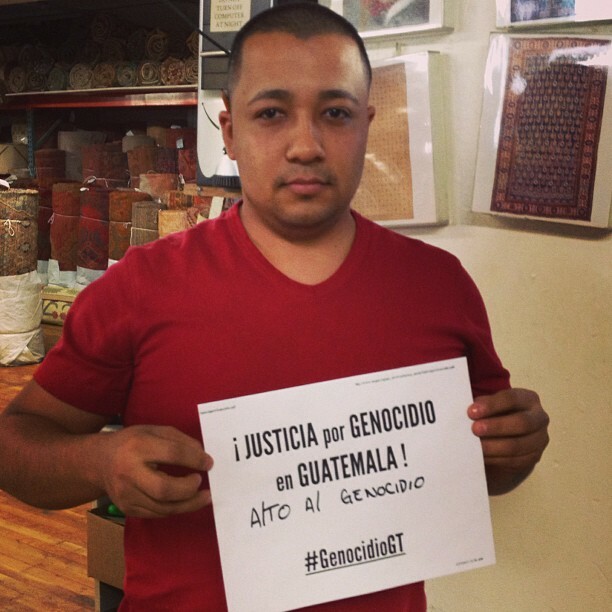 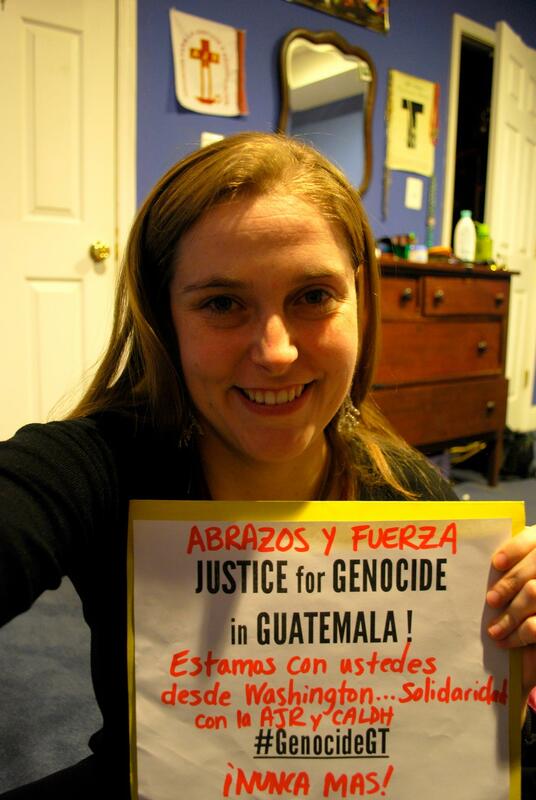 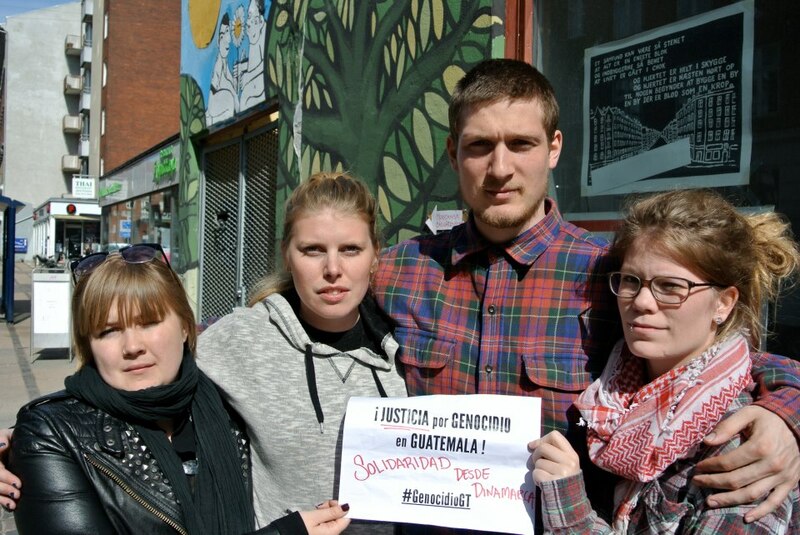 Read about the Ixil genocide trial and the fight for dignified reparations. More here.